Okanagan Super Sprints – June 14 & 15, 2019. Friday, June 14 is for teams aged 55+ and Saturday, June 15 open to all. 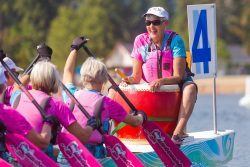 Penticton Dragon Boat Festival – September 7 & 8, 2019. 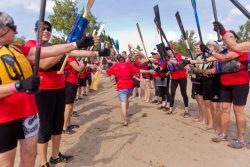 The 19th annual festival features two days of racing on Skaha Lake. Practice sessions are available for booking, late afternoon on Friday, September 6th. ONLINE REGISTRATION OPENS JANUARY 1, 2019!